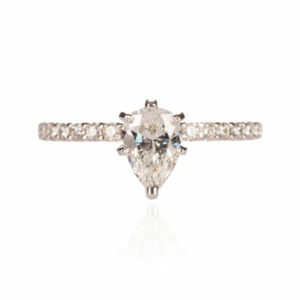 Nostalgic and feminine, this lovely setting by Sylvie features .30cts of diamonds. 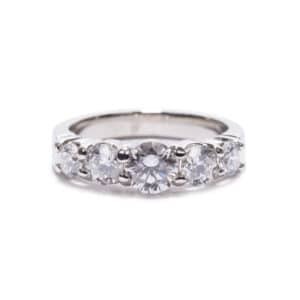 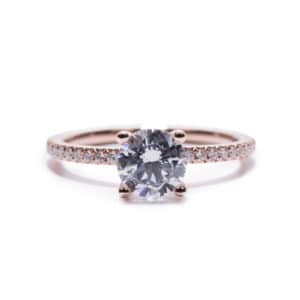 It’s done in 18kt white gold, but wouldn’t it be precious in rose gold, too? So sweet.